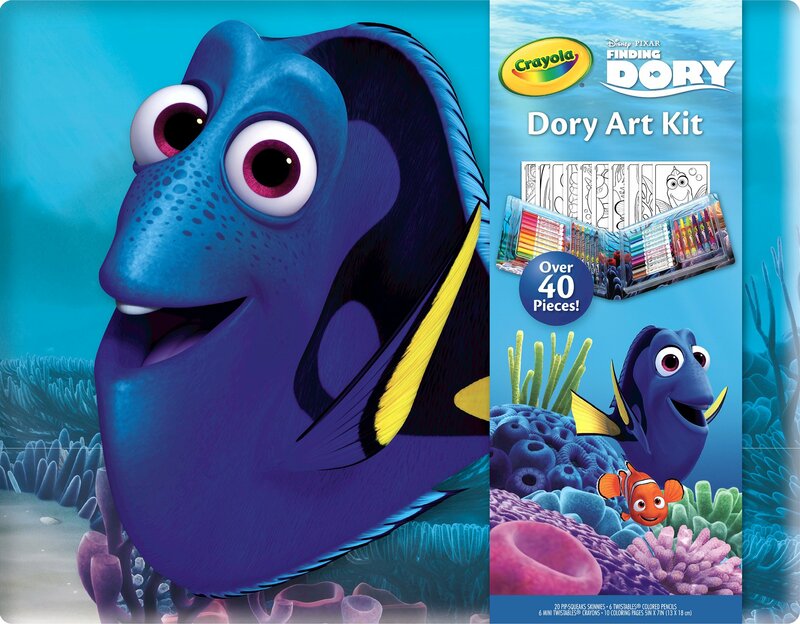 Colorful tools and art pages with characters from Disney's Finding Dory-over40 pieces! Hours of undersea coloring fun! Includes 20 Washable Pip-SqueaksSkinnies Markers, 6 Twistables Crayons, 6 Twistables Colored Pencils and 10coloring pages.